Upper East Verde River watershed, Washington Park, Gila Co., Arizona, USA. 17 July 2016. FLOWERS: The short spiklets are closely arranged along a stiff spike. 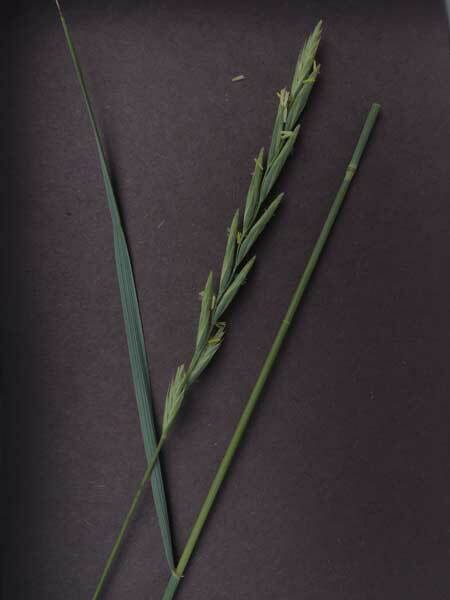 LEAVES: The blades are on the order of 30 cm long and 3 mm wide. They often have a blue-green, glaucus appearance. 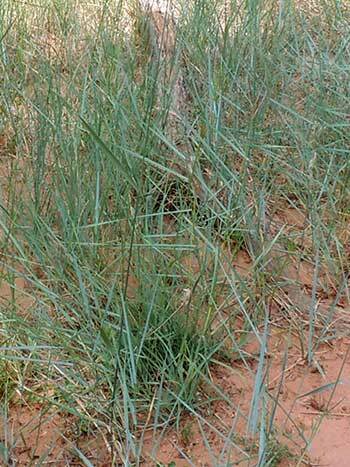 PERENNIAL: A perennial, rhizomatous grass forming dense stands. Few plants exceed a meter in height. RANGE: On drier flat sites in ponderosa woods with sandy or alkaline soil. Also throughout the USA in suitable habitat.